Creekside is our home. It is where we come to be real, to let the kids run free, where we can get take-out, late, from Creekbread and sit by the fire playing games all night long if we want to. We love Creekside because pioneers and mavericks came here (by foot sometimes!) to fish nearby on the opposite side of Alta Lake. They created a place that we love today because of the energy and spirit they contributed. They built a home here. A lodge, a retreat, but a home. One where bear cubs and well-loved pigs played together and where people came to stay in small log cabins. A place where a guy could name a river “The River of Golden Dreams”. Where it used to take two days to get here from Vancouver. We love that this is where the village began, where the dream began. We love Creekside for the story it tells us. Creekside is where we grab late night dinner and chill with each other by the fire. It’s where we know we can drop the little ones at Whistler Kids and be up the gondola ourselves in no time flat each morning. Creekside to us is family. It’s where we know we’ll be welcome and right at home, from the minute we arrive until the minute we have to drive back down that highway to our “real lives” Creekside allows us to get things done. No hassles, no attitude. A day at Alta Lake or biking together just seems doable here. It’s where Whistler began, and it’s where we feel at home. We can order in, take out, or dine in style here. We can take it easy at Alta Lake or choose to hike along the Valley trail if we feel like it. We’re never more than a few minutes from where ever life takes us that day. Thank you, Creekside, for being so awesome. We love Creekside for the furry (and not so furry) creatures that have called it home. For Molly and McGee, the two unlikely friends who fully symbolize for us why Creekside is as awesome as it is. A pig and a grizzly cub, playing happily together in the early days. The two remind us of how Creekside makes us smile, makes us relax a bit, makes us realize that it’s all here in this "moment". Whether we’re riding up the gondola or lying on the beach at Alpha, Nita or Alta Lakes, we’re in-the-moment in Creekside. And that’s the best place to be. Whether it's fast or slow, saturated in gourmet goodness or down-home warmth, Creekside keeps us in-the-moment. When we're here, we're only here with the people we care about, doing the things we love. Skiing, yes. Of course. But also relaxing, enjoying and embracing the time we have here. Together. 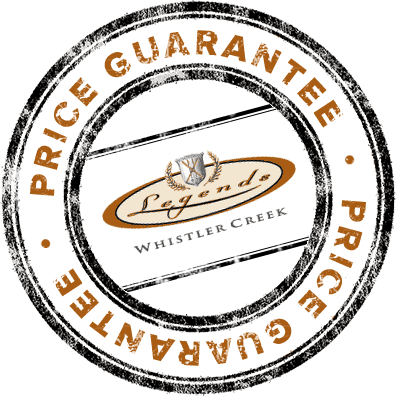 Ready to Stay in Whistler Creekside? Just in case you haven't guessed yet.... we strongly believe that families and groups were made for Whistler Creekside. 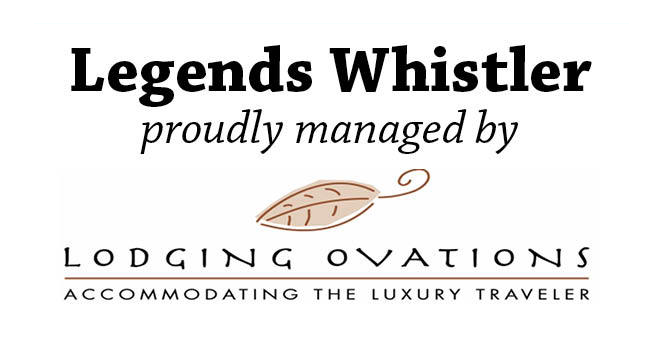 Explore Legends Whistler accommodations to plan your next Whistler vacation in Whistler Creekside. You'll soon learn why #weHEARTcreekside. And you will too!